Colombia’s fledgling Bogota indie film festival, IndieBo, has scored a coup with Martin Scorsese’s Film Foundation in a pact that will have the festival screening a selection of 10 restored classics from the foundation’s library starting this year. “This will be an annual event; some of these titles have never screened in Colombia,” said IndieBo artistic director/programmer Juan Carvajal, who cobbled the agreement with the foundation in New York. He added: “After seeing ‘One Eyed Jacks’ and [Andrei Tarkovsky’s 1979 sci-fi epic] “Stalker” in New York, I felt that Colombia had to live this marvelous and unique experience, too, and that’s what drove me to pursue this agreement.” The festival will also be screening “Stalker” and “Reservoir Dogs” to commemorate the latter’s 25th anniversary. “Movies touch our hearts, awaken our vision, and change the way we see things. They take us to other places. They open doors and minds. Movies are the memories of our lifetime. We need to keep them alive,” said Scorsese who created the foundation in 1990. “Screenings at festivals like the IndieBo Film Festival in Bogota allow audiences to experience these classic works as they were meant to be seen,” he added. “With film, as any art form, the present is in constant dialogue with the past. Our friends at IndieBo share the goal of celebrating these great works from the past as they honor the filmmakers of today,” said Margaret Bodde, Executive Director of the Film Foundation. IndieBO also includes Hayao Miyazaki and Satoshi Kon retrospectives. Underscoring the festival’s mission to connect people with the latest in audiovisual technology, IndieBO will also host video-sharing website Vimeo which will present a selection of shorts including acclaimed 360 video “The Giant” that premiered at SXSW in March and a master class on online distribution. Virtual reality showcase IndieBox will again be installed at the capital’s monolithic national Heroes Monument and will include 4D interactive virtual reality experiences such as “Tree,” which screened at Sundance and Tribeca. “Caracol TV will be covering the festival even more,” said Carvajal. The enthusiastic reception of technology and film in Colombia’s capital is no surprise given the upsurge in national filmmaking and Colombians’ propensity to adopt the latest advances in technology. Last year, IndieBo saw a spike in attendance to 45,000 and IndieBox more than 10,000 visitors. 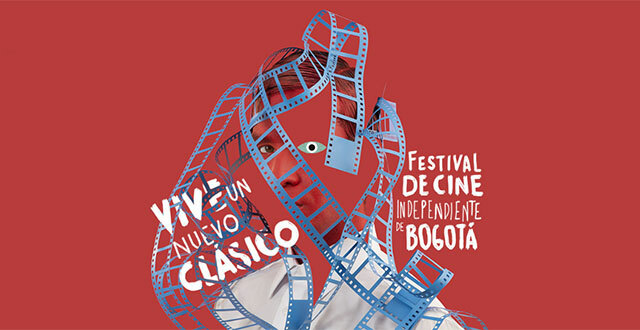 As in other years, the festival overlaps with the annual Bogota Audiovisual Market, BAM, which runs July 10-14.